Born Oxford 1893 to Cecilia and Charles Roberts. Painting heritage shared with her mother and grandfather George Howard, Earl of Carlisle, a painter who was a friend of William Morris, Burne-Jones, Walter Crane and Chairman of the Trustees of the National Gallery. Grandmother Rosalind Howard, the ‘Radical Countess’, was involved in Liberal politics, Temperance reform, Women’s suffrage. Sister Christina born 1895. Brother Wilfrid born 1900. Their childhood spent between Cumberland, Yorkshire and London. Father elected Liberal MP for Lincoln, 1906-1918, a member of the Asquith government. Grandfather, George Howard dies 1911. Goes to Byam Shaw School of Art in London 1912. Exhibits at the Royal Academy Summer Exhibition, a watercolour Lincoln Cathedral (Prior Wimbush’s Tomb). Some of her watercolours are of the war corner of a London church in the East End with mourners standing before lists and photos of dead soldiers. Meets the painter Ben Nicholson at Boar’s Hill, Oxford and they paint together in Devon and Cornwall. They marry and honeymoon in Italy, look at paintings – Venice, Florence, Rome, Naples, Pisa, Lugano, Portofino, Genoa. Then they settle in Villa Capriccio, Castagnola, among vines on the mountainside above Lake Lugano in the Italian-Swiss Alps. Each winter is spent at Villa Capriccio, returning to England for the summers; travelling via Paris where they see works by such artists as Derain, Rousseau, Van Gogh, Gauguin, Cezanne, Matisse, Picasso. Winifred and Ben exhibit together at Paterson Gallery, London, 1923. She shows flower paintings from Villa Capriccio which sell. He shows tough portraits and desert landscapes. They find Banks Head, an old farmhouse on the Roman Wall in Cumberland and move in 1924. Paul and Margaret Nash stay and Ivon Hitchins and Kit Wood. Winifred joins the ‘7 & 5’ Society in 1925; she exhibits there for its remaining ten years. Besides Ben, other members include Henry Moore, Ivon Hitchens, Kit Wood, Evie Hone, Barbara Hepworth, Arthur Jackson, Cedric Morris, Frances Hodgkins. During her lifetime Winifred exhibits in over 200 group exhibitions, some of which tour abroad. 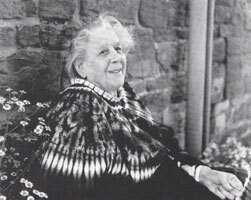 They meet Helen Sutherland in London 1925 who cherishes their work for more than forty years, later living in Cumberland at her home Cockley Moor above Ullswater. Winifred and Ben meet the painter Kit Wood, whose work they admire, in London 1926. A strong friendship develops. They meet Jim Ede, who becomes a friend, and later keeps open house at his home, Kettle’s Yard in Cambridge, with many paintings by Ben and Winifred, where they can still be seen today. Winifred exhibited at the Beaux Arts Gallery, London, along with Ben, Kit Wood, and the potter Staite Murray 1927. When hanging the exhibition Winifred falls through a trapdoor and seriously injures her back while pregnant. She is taken to hospital and it is thought she will not recover. However with help from a Christian Science practitioner she recovers sufficiently to visit the exhibition before it closes. Her son Jake is born. She retained her interest in Christian Science for the rest of her life. Show at Lefevre Gallery, London with Ben and William Staite Murray in 1928. Winifred and Ben stay in Cornwall in 1928. In the autumn they go on to stay in St Ives and Kit joins with his friend Frosca Munster. The Nicholsons spend Christmas with Ben’s father, the painter William Nicholson at Sutton Veny, Wiltshire. 1929 The ‘7 & 5’ Society shows pictures by Winifred, Ben, Kit Wood and Alfred Wallis from their recent painting visit to Cornwall. Her daughter Kate (1929) and son Andrew (1931) are born at Banks Head. 1930. Solo exhibition at the Leicester Galleries, London, where Winifred shows Cornish pictures and portraits of the family. Kit Wood shares his exhibition in Paris with Ben, and the family travels to Paris. In August, Kit Wood dies falling under a train. 1931. Ben goes for a holiday to Happisbrugh in Norfolk and meets Barbara Hepworth. Later in the year, Ben leaves Winifred and the children and lives in London with Barbara Hepworth. He keeps in contact with Winifred, visiting and they correspond frequently. Winifred and their young children go to Fishbourne, Isle of Wight, where they stay until spring 1932, then move to Par, Cornwall. In Paris she helps with a primary school, drawing inspiration for her painting from Montessori geometric teaching shapes. Solo exhibition at the Leicester Galleries, London, 1936, where she shows her current French paintings. Alastair Morton commissions fabric designs from contemporary painters, including Winifred and Ben. He builds Brackenfell, his modern home near Winifred at Brampton, Cumberland, designed by Leslie Martin. September 1938: goes to Paris to close her flat, and persuades Piet Mondrian to travel with her to London away from impending war. Lives and helps her parents at Boothby in Cumberland, an active political household. Her father, Charles Roberts is Chairman of Cumberland County Council 1938-58. Her brother Wilfrid Roberts is Liberal MP for Cumberland North 1935-1950. Winifred continues to support active Liberal politics, farms, keeps goats and bees, runs a small school at Banks Head, writes stories mostly unpublished. Winifred makes painting trips with the poet Kathleen Raine to the Hebrides and Western Scotland in 1950, 1951, 1952, 1953. They often stay at Sandaig, Gavin Maxwell’s house near Glenelg with views out to the Hebrides. They visit the isles – Eigg, Barra, Canna, South Uist. “This is a place after my own heart. . . . the sea full of grey mysterious islands and rocks, seals and seabirds. White glistening beaches and transparent sea . . . blue mountains . . . ” WN. Together they enjoy the taste of crofting life, Gaelic songs, dying wool, Celtic stories. Exhibition at the Scottish Gallery, Edinburgh, 1953, showing pictures from her painting travels, including Scotland. Painting visits to Scillies, Orkney, Catalonia. Exhibits at the Leicester Galleries, London, 1954, showing landscapes. Organises an exhibition of paintings by her grandfather, George Howard, at Leighton House, London. Winifred’s father, dies at Boothby, 1959. Winifred moves back home to Banks Head in 1960. She paints flowers and window-scapes, many looking south to misty Tindale Fell at the head of the Pennines. Garden of old roses, flagstones, birds, and wild flowers – painter’s friends. Her eight grandchildren visit; as teenagers David and Rafaele stay for periods to paint. Young artists Andy Christian and Susie Honour come to Banks Head to live and work there, helping Winifred. Revives local ‘hookie’ rag rug making tradition with contemporary designs, which her son Jake markets. Winifred and daughter Kate make long spring visits to paint in Greece, 1960, 1961, 1962, 1963, 1964, 1966, 1967. They often stay at Hotel Belle Helene at Mycenae, but travel widely – Athens, Olympus, Skopolos, Samos, Lesbos, Sophos, Corinth, Crete, Delphi “. . . wild flowers, perfume of honey and thyme, like a carpet – clear and definite like everything in Greece . . . on the red earth companies of pink pale convolvulus – pentagons looking up to the azure of the sky.” WN She paints imaginative Greek myths. The ‘Colonels’ come to power shortly before their 1967 visit and she stays away from Greece until 1973. Andreas Kalman becomes her main London dealer with her subsequent London exhibitions held at the Crane Kalman Gallery – 1967, 1969, 1972, 1974, 1975, 1981, 1996, 2002, 2009. Keeps a flat in Kathleen Raine’s house in London, where she stays to visit family, friends and exhibitions. Painting trip to Italy, Sicily, Corfu with Kate, 1968. Retrospective exhibition at Abbot Hall Art Gallery, Kendal, 1969. Visits Kate in St Ives, Cornwall, and paints there, 1970. 12 of her pictures are shown in The Helen Sutherland Collection a touring exhibition opening at the Hayward Gallery, London. Paints in Morocco with Kate, 1971. Winifred helps the Chinese kinetic artist Li Yuan-Chia to open the LYC Gallery in Banks village near Banks Head. This gallery lasts for ten years, showing local art and many contemporary artists such as, Mary Newcomb, Elena Gaputyte, Stephen Procter, Donald Wilkinson, Clare Langdown, Valerie Thornton, Michael Chase, Andy Christian, Bill Woodrow, James Hugonin, Andy Goldsworthy, David Nash. Winifred exhibits there four times (1974, 1976, 1979, 1981). Solo exhibition at Kettle’s Yard, Cambridge, 1972. Meets the physicist Prof Glen Schaefer 1975 who rekindles her interest in prisms. She begins again painting specific prismatic pictures re-exploring the colours of the rainbow in her painting. Friendship with landscape artist Donald Wilkinson and his family, who come to live nearby in Banks village, giving their enthusiastic support for her interest in rainbows. First exhibition of her abstract works from the 1930’s Paris period, at Crane Kalman Gallery, London, 1975. 1979. Painting trip to Greece, Ouranoupoli near Mount Athos, with Kate, and accompanied by her grandson Jovan. Scottish Arts Council Gallery retrospective exhibition begins in Edinburgh, travels to Tullie House, Carlisle; Third Eye, Glasgow; Hatton Gallery, Newcastle; Minories, Colchester; Penwith, St Ives. 1980. Paints on Isle of Eigg, Hebrides, with Kate, taken by Donald and Shirley Wilkinson with their two children, joined later by artists Valerie Thornton and Michael Chase. Retrospective at the Tate Gallery, London in 1987. Winifred’s pictures continue to be exhibited. In 1987, a book of Winifred’s paintings, letters, writings, is published by Faber and Faber, titled ‘Unknown Colour’.